Natural Star Nani and Malayalam heartthrob Dulquer Salmaan will be teaming up for a multistarrer film, if the latest buzz in the tinsel town is to be believed. Dil Raju will produce the movie under Sri Venkateswara Creations banner. Coming to details, Nani has signed a three-film deal with Dil Raju long back and, they have already collaborated for two films back-to-back. Looks like the final film is on cards, and the ace producer is planning something big. Though Nani and Dil Raju planned for the remake of Tamil movie '96', it didn't materialize and they are moving to a multistarrer flick. 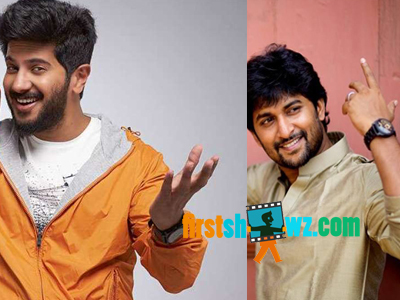 Indraganti Mohan Krishna will wield the megaphone for the movie starring Nani and Dulquer. With Dulquer Salmaan having a good fan base across South India, Dil Raju can widely release the movie.